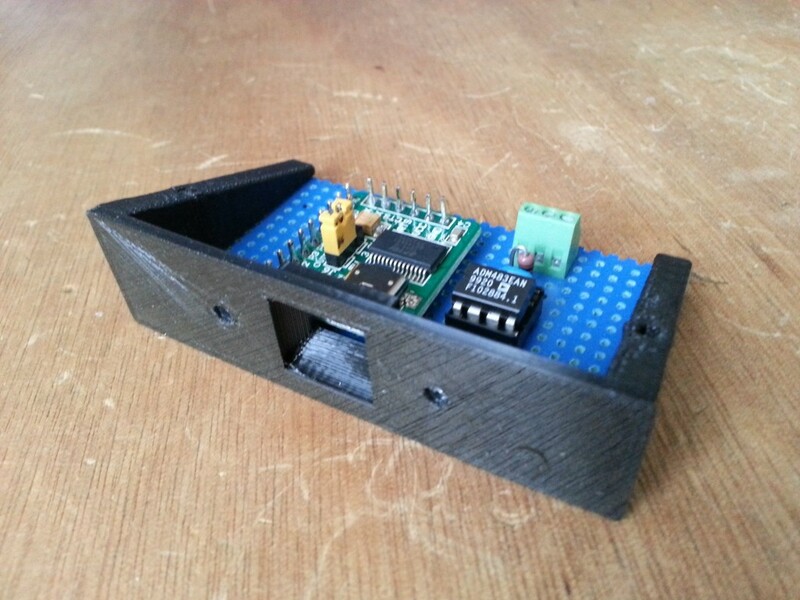 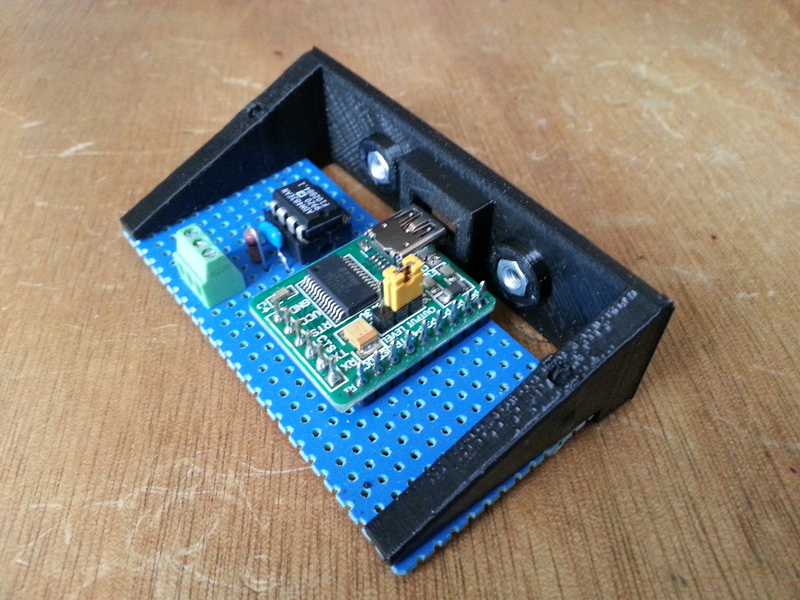 The original CNC-Shop control box uses a 0-10V board to drive the VFD spindle speed. 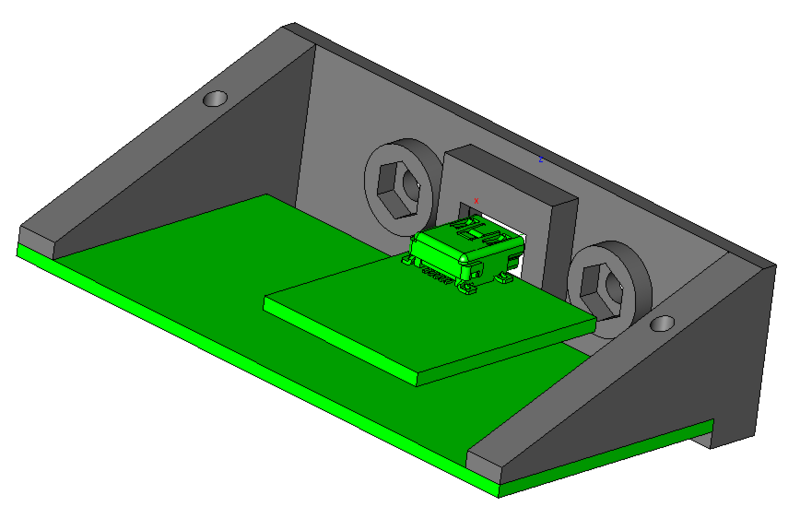 This is fully supported by LinuxCNC. 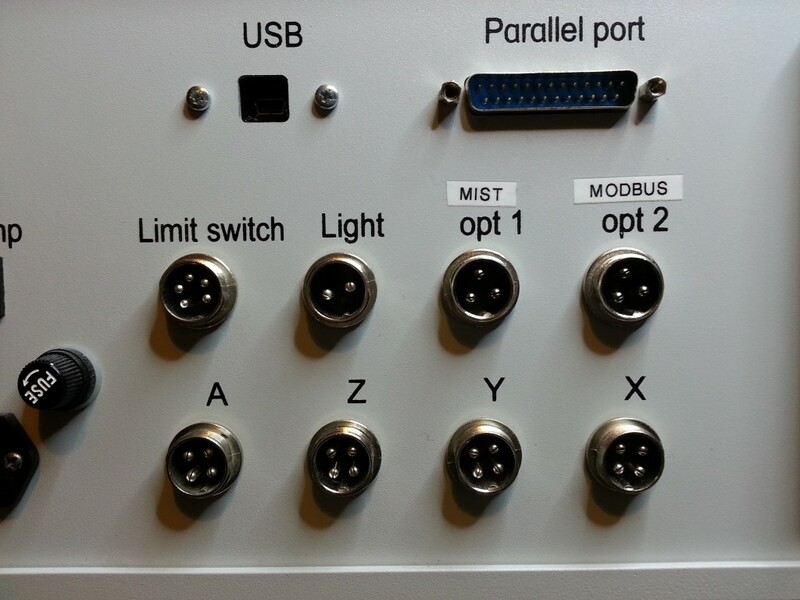 However, it needs some tuning of the analog levels for proper operation and there is no feedback on the electrical parameters applied to the spindle.This control box is based on a standard DZB200 inverter with MODBUS capabilities. 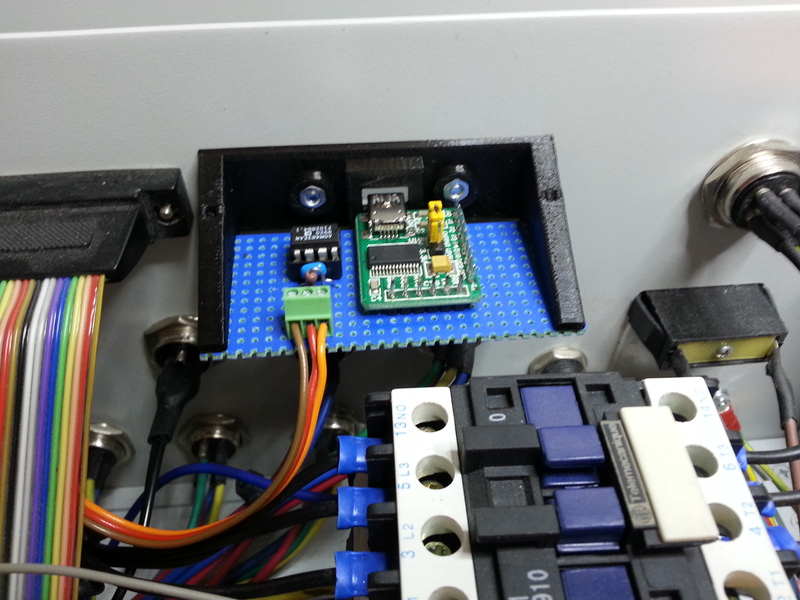 I have designed a customer MODBUS/USB converter to be integrated in the control box for direct connection with LinuxCNC.Thanks to this design, the spindle speed control is very accurate. 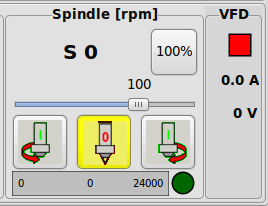 As a bonus, I can display the voltage and intensity applied to the spindle in Gmoccapy.